Our Customer of the Week is Lisa!!! 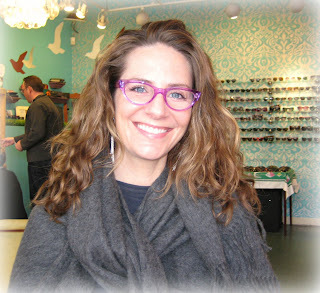 Doesn’t Lisa look dreamy in her new Lafont frames? She was planning on purchasing the same frame in a conservative brushed tortoise hue…but we couldn’t let her when the purple was so much more flattering! Her eyes pop behind the gorgeous translucent color. We also love that the fun cat-eye shape gives her so much area to see out of. Don’t forget…the Lafont trunk show is on Saturday, November 26th from 11am-5pm. Come out and see all the new Lafont frames and try on every color! Also, stay tuned for a posting about the Anne et Valentin trunk show on Saturday, November 19th. 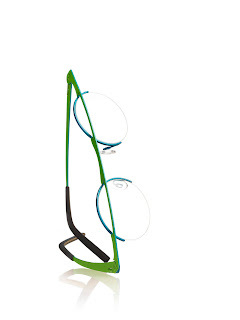 Anne et Valentin is known for their colorful, and playful glasses. They are for the person who enjoys wearing their glasses and wants an individualistic look. 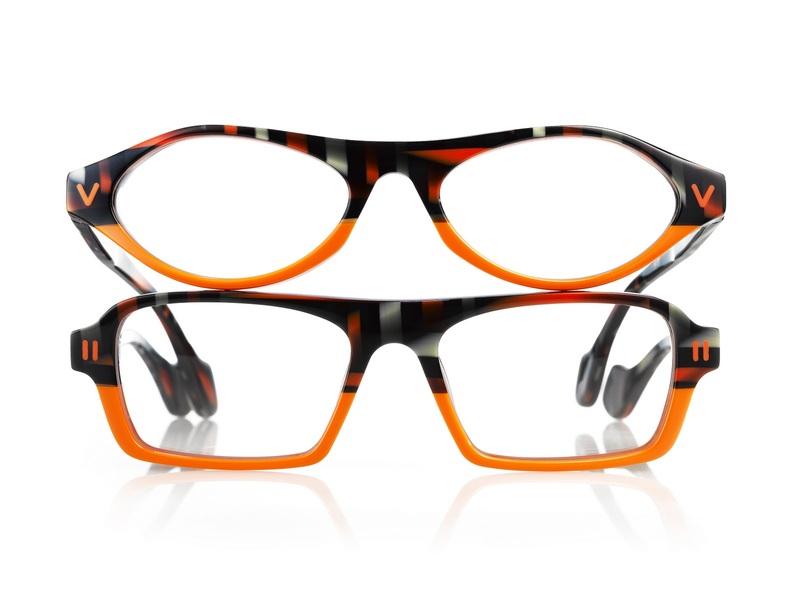 As their tagline states, “Delighted to be yourself!” The collection has a large variety of plastic and metal frames for men and women….from tortoise to red to blue. The Mykita trunk show is finally here! Saturday, November 12th you will be able to view and try on hundreds of Mykita frames. Mykita is a small company in the heart of Berlin that has been hand-making their eye wear since 2003. They are successful due to their patented screw-less hinge design. Mykita frames are almost indestructible since they are cut out of a thin sheet of surgical stainless steel. The NO2 collection is all plastic, but just as durable with its innovative Metal Injection Moulding process. Trunk shows are the only way to see the 2012 collections before anyone else! You will get a sneak peek of all of new styles that were shown at the trade show in Paris last month. If you cannot make it into Eye Spy on Saturday, we are having private viewings of the Mykita frames on Sunday…just call for an appointment. Stay tuned for a posting about the Anne et Valentin trunk show on Saturday, November 19th. 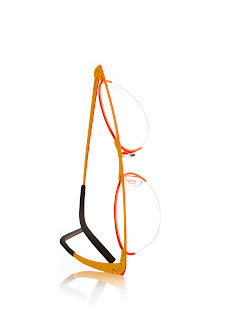 Anne et Valentin is known for their colorful, and playful glasses. 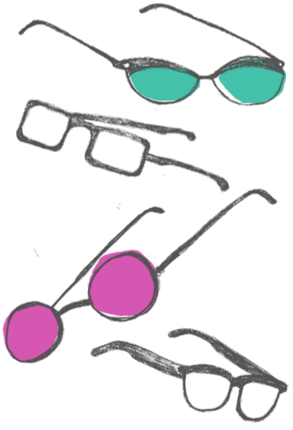 They are for the person who enjoys wearing their glasses and wants an individualistic look. 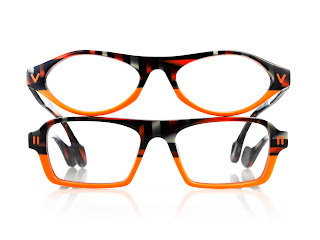 As their tagline states, “Delighted to be yourself!” The collection has a large variety of plastic and metal frames for men and women….from tortoise to red to blue. Ooooh…we are so excited, our new Rapp frames are here! 24 years ago, Mel Rapp opened up a tiny dispensary at the back of his mother’s hat shop. A crazy idea at the time, it has grown into one of the most unique and avant-garde optical shops in the world. Rapp, a company out of Toronto, combines old-fashioned work ethics with modern technology. 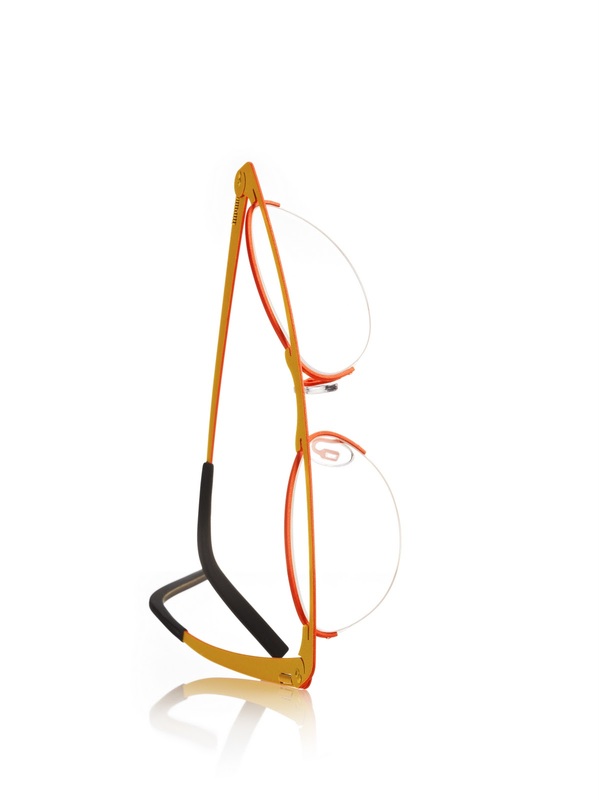 Most of the frames are a combination of titanium and Italian acetate. Only 30 sets consisting of 32 pieces are sold of each collection worldwide, so when you buy a Rapp frame…you can truly be an individual. Stay tuned for a posting about the Mykita trunk show on Saturday, November 12th. Mykita frames are known for their flexible, lightweight design and patented screwless hinge concept. Our Customers of the Week are Maria & Pam! 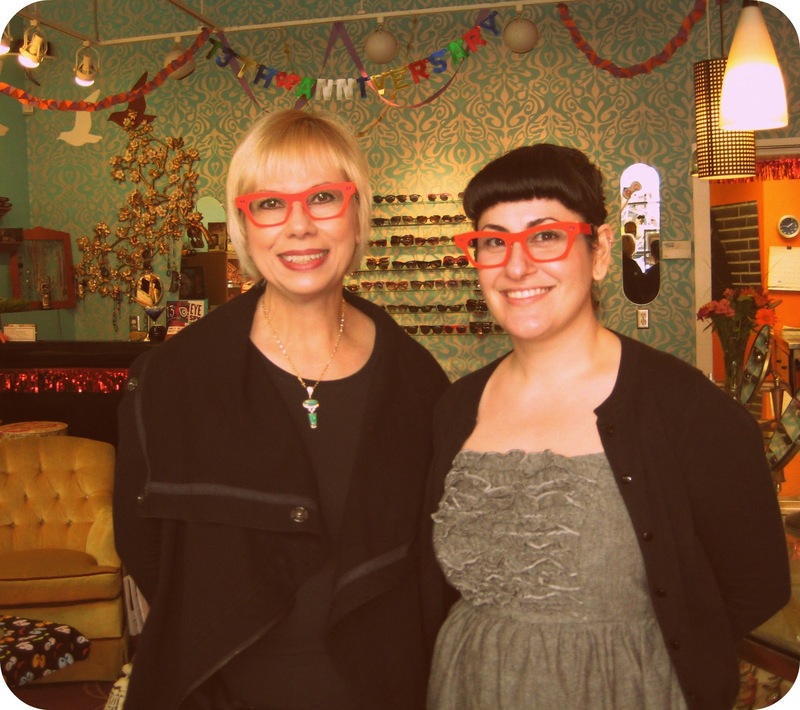 We could not pick one customer this week:) Ironically, during our Theo trunk show, two of our favorite customers picked up their new Theo frames. Maria looks like a movie star in her new red glasses. The frames follow her brow line and the large lenses show off her pretty peepers. It was hard to find Pam a pair of glasses that fit her large personality, but when she tried on these blue Eyewitness frames…we knew they were perfect. The bare titanium details give the frame an industrial, modern feel….and the asymmetry of the frame catches just the right amount of attention:-) We love these frames and are sad to see them leave the store, but they have definitely found a good home! Yay. Congrats, Maria & Pam, you are our CustomerS of the Week!!! The Theo trunk show is finally here!!! Saturday, November 5th you will be able to view and try on hundreds of Theo frames. If you like funky shapes and tend to be a trend-setter…Theo is the perfect frame line for you. The Theo wearer wants quality, originality, and exclusivity. In 1989, Theo introduced its ground breaking collection in Antwerp, Belgium to offer the public frames that were not typically seen in the mainstream. 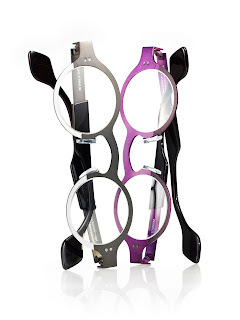 The designers wanted a collection that appealed to the individualist, frames worn not only as a necessity but as a unique art piece . Theo also introduced the Eyewitness Collection in 1995 which is an asymmetrical line designed to be in harmony with your individual face! Trunk shows are a good way to see 2011 collections in 2012. Below is a sneak peek of some new styles that were shown at the trade show in Paris last month and will be here on Saturday. Don’t forget – if you would like to view the Theo frames on Sunday just call for an appointment! Our Customer of the Week is Natalie! Natalie looks so happy in her new Theo frames. The mosaic-style texture is unique and the pink hue is gorgeous against her skin. Natalie’s parents have been coming to Eye Spy for almost ten years, so when Natalie grew out of her old pair they knew exactly where to take her. She was on the search for large retro-inspired glasses that had some flair…and these were the perfect match! Wow…this Mykita frame looks so retro on Brad! The warm yellow hue as well as the softly curved shape are super flattering. The glasses are big enough to give him a large viewing area, but do not overwhelm his face. His button-down shirt is awesome as usual with its western style embroidery. The turquoise bolo tie stands out against the neutral colors of Brad’s outfit…although the newly grown mustache is what completes the look! Did you know that even when it gets cold and gray outside this winter, you will still need sunglasses to protect your eyes? UV rays from the sun are always there…and can cause early development of cataracts and a host of other vision-hampering problems. Sunglasses protect you from wind exposure, which is a must in Chicago! Check out the awesome photoshoot in Z Magazine (Switzerland Edition)…the model is wearing Mykita frames. Stop in at Eye Spy to see them in person!!! We are obsessed with the one on the right below! And don’t forget about our trunk shows every Saturday in November! Looking for the perfect pair of specs? Come to Eye Spy to preview the 2012 collections in 2011…and try-on hundreds of new styles and colors to find the perfect one for you!!! Our Customer of the Week is Elena! 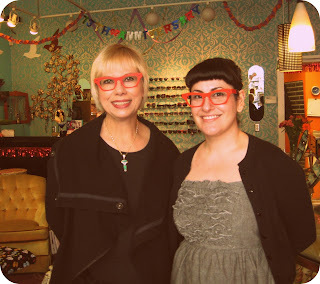 Elena looks absolutely gorgeous in her new Anne et Valentin crimson frames. The modern cat-eye shape is a classy touch, while the ivory hinges gives them dimension. We love how the top of the glasses follow Elena’s brow line! Although the frames are a bold color, they look natural and don’t overpower Elena’s beautiful features. Congrats, Elena, you are our Customer of the Week! 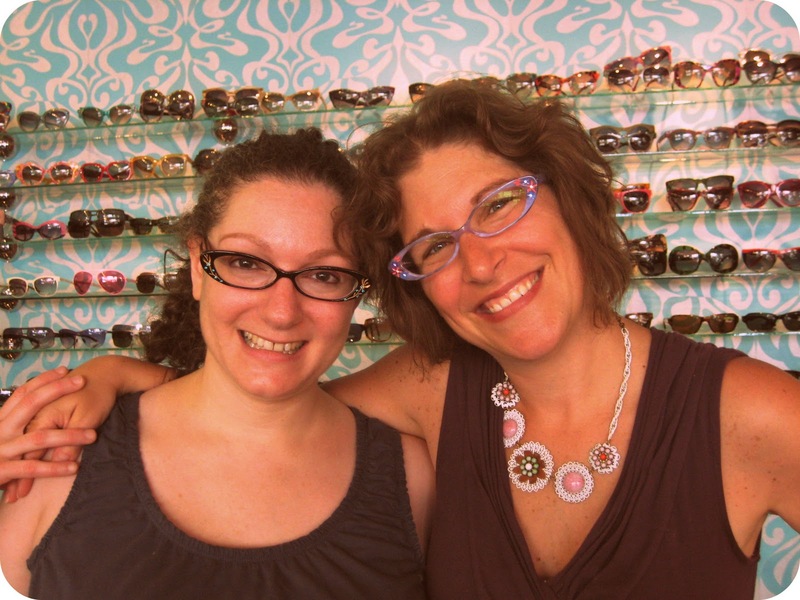 It’s so much fun when our customers buy the same frames that we personally own! Barbara just picked up these retro Theo frames in beautiful green texture which Serina currently has in luscious plum/periwinkle. 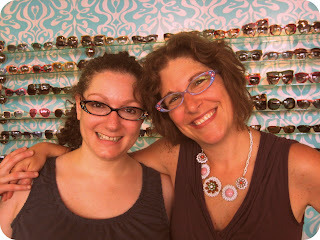 Susie and Alissa have been friends since they were in fourth grade and BFFs must have the same glasses! Since Francis Klein frames are customizable…they both picked out the same model with totally different colors/decorations. It matches each of their personalities perfectly!!! Zenia is attracted to bold colors and is always willing to take risks. I got a pair of matte geranium red Theos only a couple of months ago…and I was so excited when Zenia decided on the same pair. It is surprising that two different people with polar opposite hair color can pull off the same glasses so well.